Open source content management platform powering millions of websites and applications. The world’s favorite open source content management platform just got better. Drupal 8 is the new standard for creating incredible digital experiences—for small businesses, global enterprises, and everything in between. Meet Drupal 8, a powerful new suite of tools, and the strongest link in your new content supply chain. Interact with countless applications, thanks to REST-first native web services. Use progressive decoupling to break free from back-end restrictions without sacrificing security and accessibility. Deliver faster, with enhanced entity caching and better integration with CDNs and reverse proxies. With Drupal 8, you can build almost any integrated experience you can imagine. Fine-tune your configuration management with an all-new system. It's now much easier to move configuration changes between environments. That means better deployments and more sophisticated maintenance are at your fingertips. Build with precise control over the integrity of views, content types, user roles, and more. Store configuration data consistently, in a central place. The power to unleash it all is now a standard Drupal feature. Maximize Drupal’s flexibility with object-oriented code and the latest PHP standards. 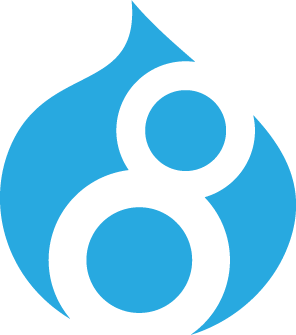 Some of the best-known technologies are now part of Drupal 8. It depends on dozens of external libraries—like Composer, Guzzle, and Symfony2—so you can write and debug code faster, with more confidence. Say goodbye to PHPTemplate; rely on much more readable code when theming with Twig. And use simpler, more unified APIs to add power to your modules and themes. Popular powerful content management system.